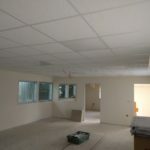 We Are An Experienced Suspended Ceiling Contractor. 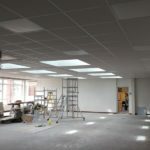 We’ll supply and fit your suspended ceiling on time, and to budget. 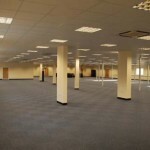 We work directly with end users and as a specialist sub-contractor. Our usual installations range from only a few square metres, up to our largest in one area of over 1000m2. 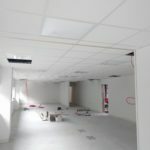 Ceilings from the key brands all installed by our experienced ceiling fixers. We hold all necessary insurances, are fully up to speed with our H+S responsibilities, and hold relevant training and certifications. 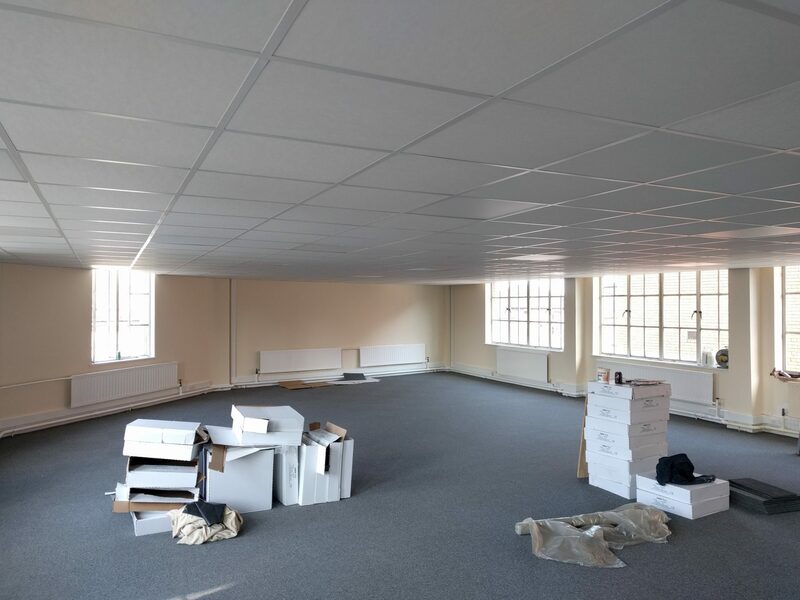 We installed a new office suspended ceiling, complete with insulation, for CleanMy.biz in their Rotherwas office. 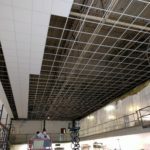 Lay-in grid suspended ceilings are constructed from various different components to most commonly form a modular suspended ceiling grid at either 600mm x 600mm or 1200mm x 600mm centres. 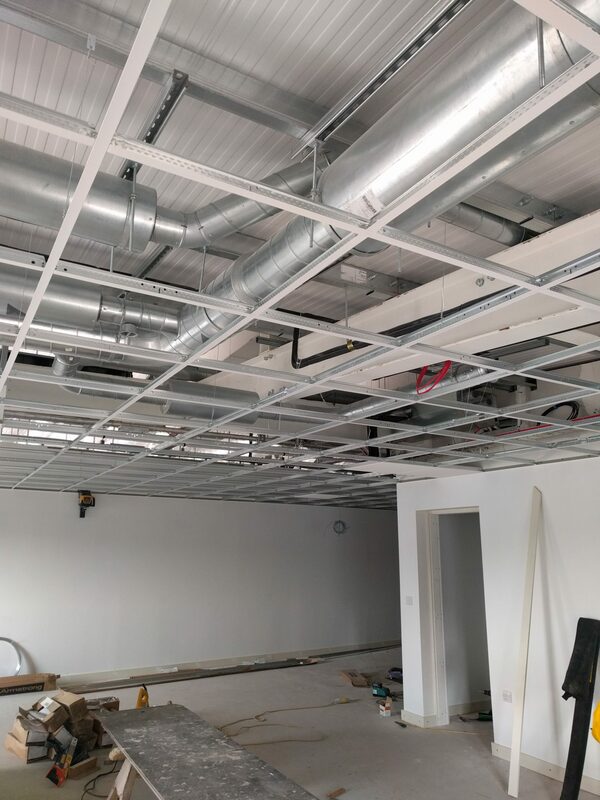 Suspended ceilings are idea for concealing pipe or ductwork, electrical services or unsightly soffits and can incorporate many different styles of light fitting. They are also excellent ways to improve acoustics in a room, or to provide fire protection. 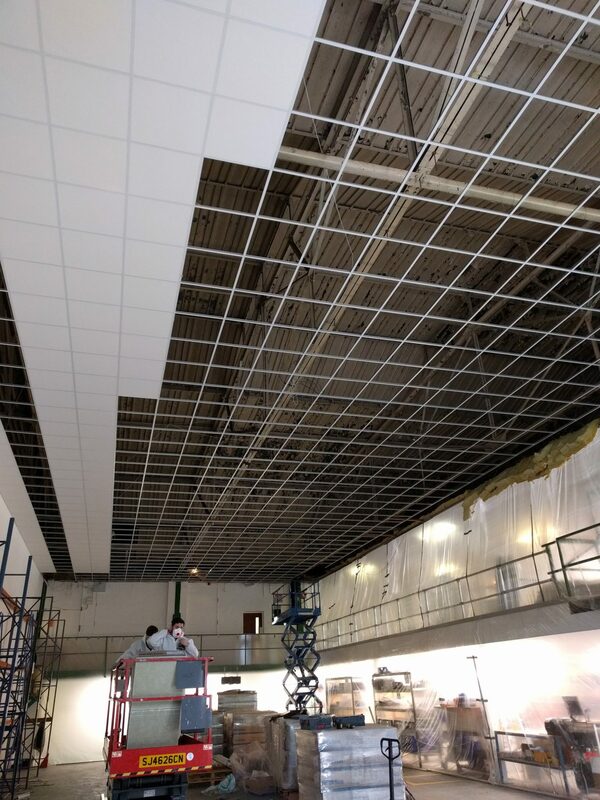 There aren’t many places that we haven’t installed a ceiling! 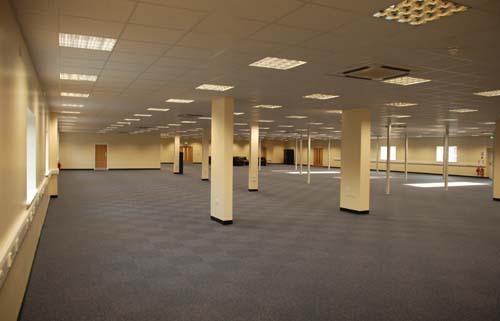 Some examples of where we’ve worked include: offices, shops, schools, industrial units, gyms, nightclubs, army bases, leisure centres, post offices, changing rooms – it’s unlikely we won’t have covered your requirement before. We are a local authority approved contractor, and a preferred sub-contractor for many of our customers. 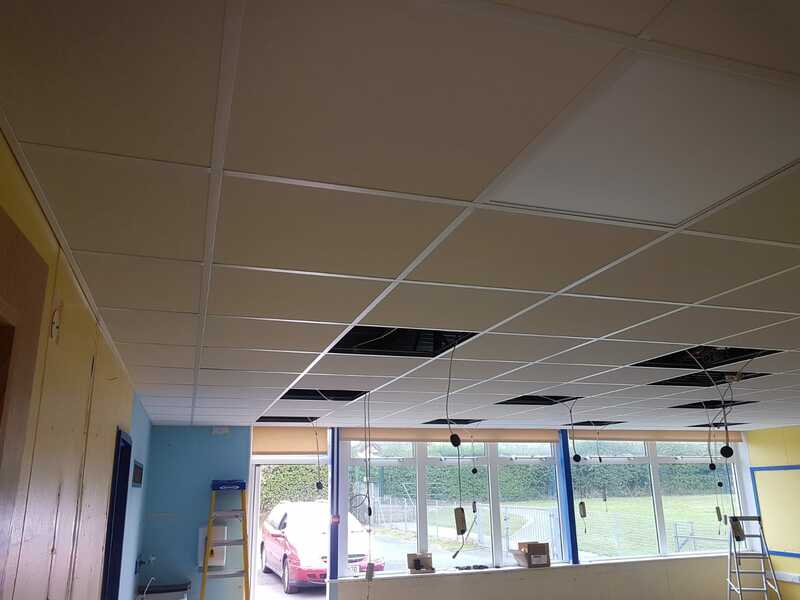 We are equally at home installing a new office ceiling for a local business or school as we are on a local authority or military or constabulary site (locations that can require background checks and work passes). 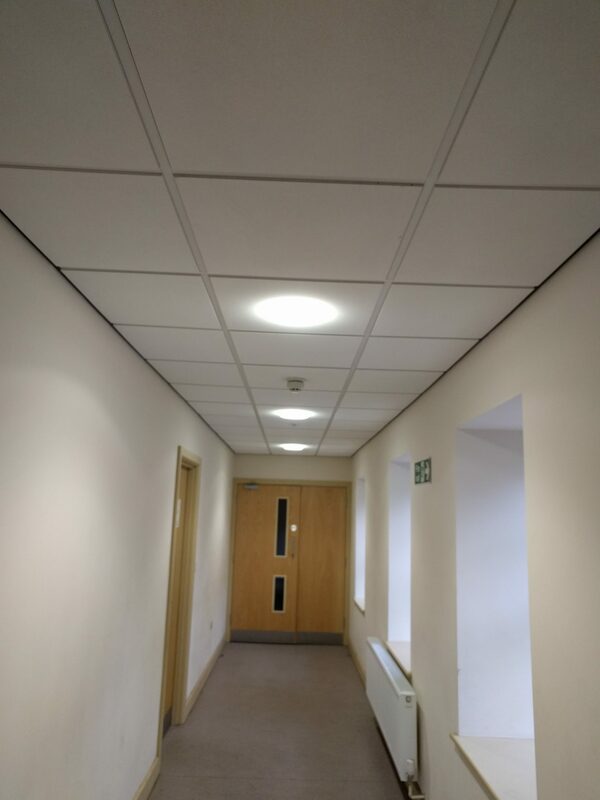 We can help you with the supply and fit of a simple budget false ceiling to cover up an unsightly soffit, replacing an old tired ceiling, or a ceiling to allow you to incorporate LED lighting. 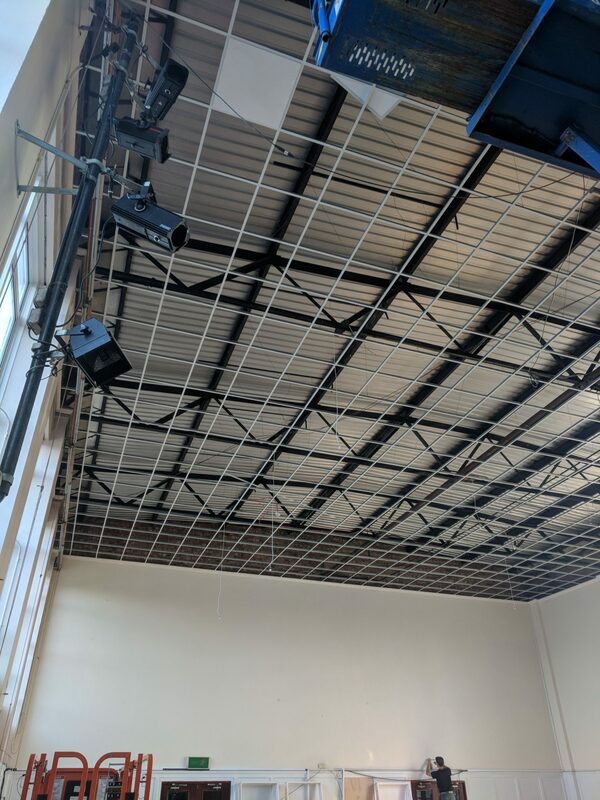 We can also carry out ceiling repairs, or simply a tile change (maybe from older mineral fibre tiles to a mineral wool for example). However, perhaps you have a more specific requirement? 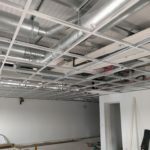 We can also help you with a fire rated ceiling, an acoustic ceiling to help with bad acoustics, or an architect or contractor specified ceiling from a specific manufacturer. 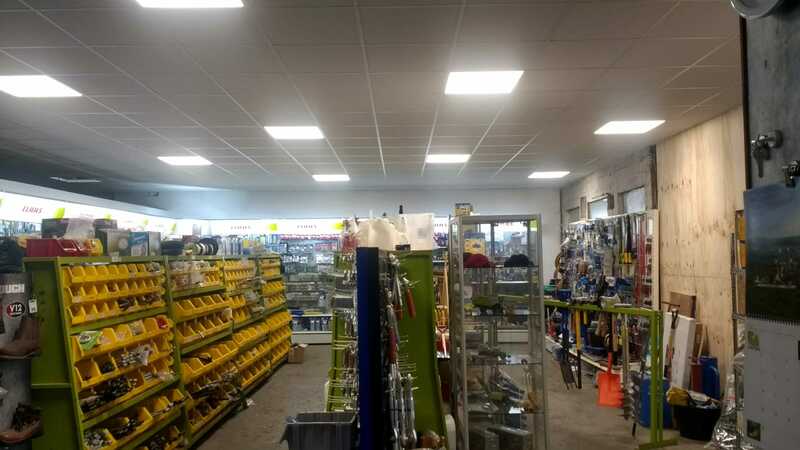 Purely tidying up an area – Ceilings can create a ceiling void above the ceiling grid to run services through, or to install recessed LED light fittings into. Fire protection – If so, for how long. 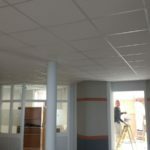 Different standards and length of protection can be reached depending upon the ceiling components and its construction. 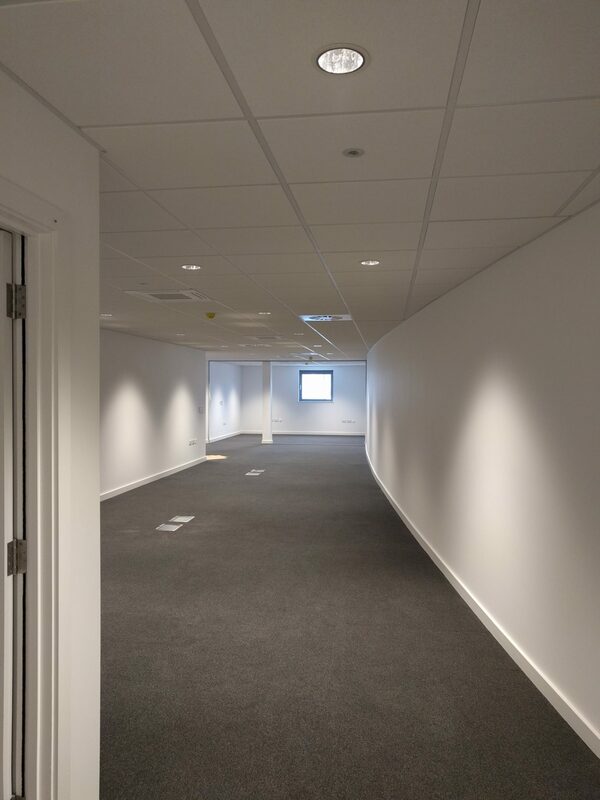 Acoustic properties – A correct choice of tile will allow a room to function correctly; helping with sound absorption or reverberation time. 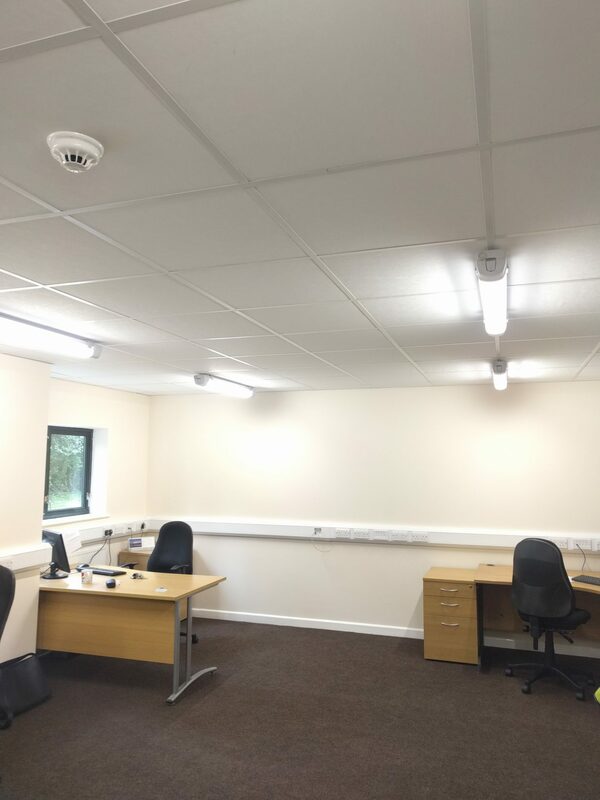 For example, a meeting room will require a slightly different tile (or acoustic panel) to an open plan office area, as they will be dealing with different levels and types of sound. Suitable for humid environments – Tiles installed into a toilet or changing area will need to cope with the increased levels of humidity in the air, so that they won’t ‘sag’ in the grid. Anti-corrosion grid, including perimeter trim, can also be required to cope with a humid environment. 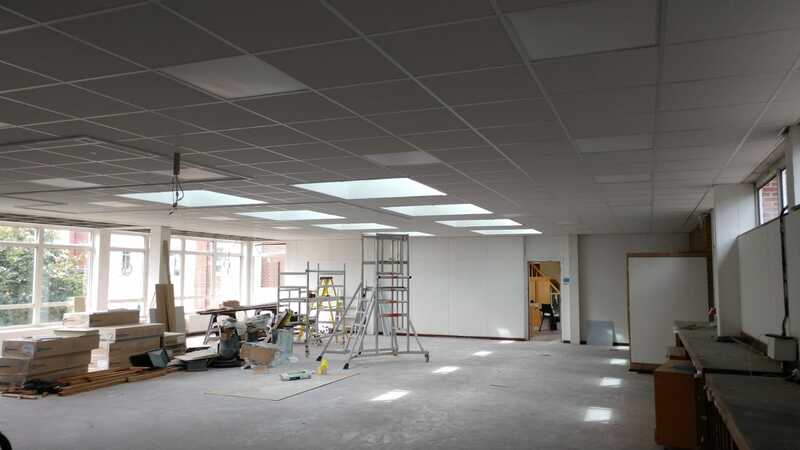 Hygienic properties – Rooms requiring high levels of hygiene such as kitchens or laboratories, can have hygienic ceilings specified. These are tiles and grids that resist bio-contamination and are easily cleanable. 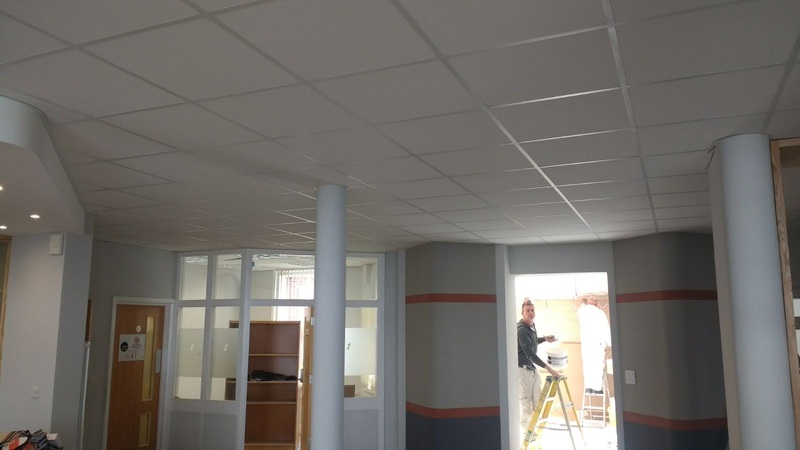 Have a specific edge detail – Ceiling tiles are commonly available with either a square edge, which sit in the gird, or a microlook or tegular edge, which are rebated edges to the tiles that mean they sit ‘through’ the grid and hang slightly below the level line of the grid. 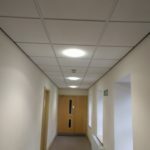 With high light reflectance properties a ceiling will help light an area. Reducing the area that needs heating or cooling by having a lower ceiling. 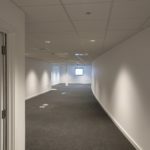 We can offer exposed, semi-concealed or concealed grid systems. Exposed grids are most widely used, with either a 15mm or 24mm width grid, and either a square or rebated edged detail. 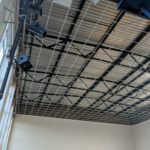 We know and follow the manufacturers guidelines for the installation of all of our ceiling system installations to ensure they’re installed according to best practices. Metal tiles can offer a secure system, able to cope with impact for challenging scenarios. 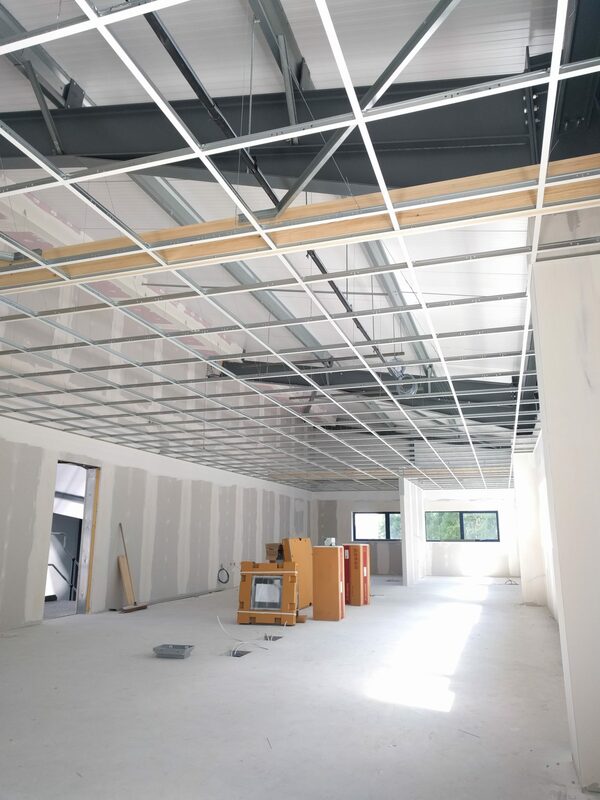 Access panels can be installed into a plasterboard MF ceiling to ensure access is still available above the ceiling after it is installed. 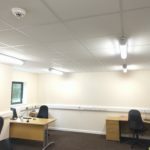 We can form and install feature shape ceilings or rafts, which can incorporate lighting, or speakers, or help with room acoustics. We can also offer impartial advice and guidance to you on the best system to install for your requirements. 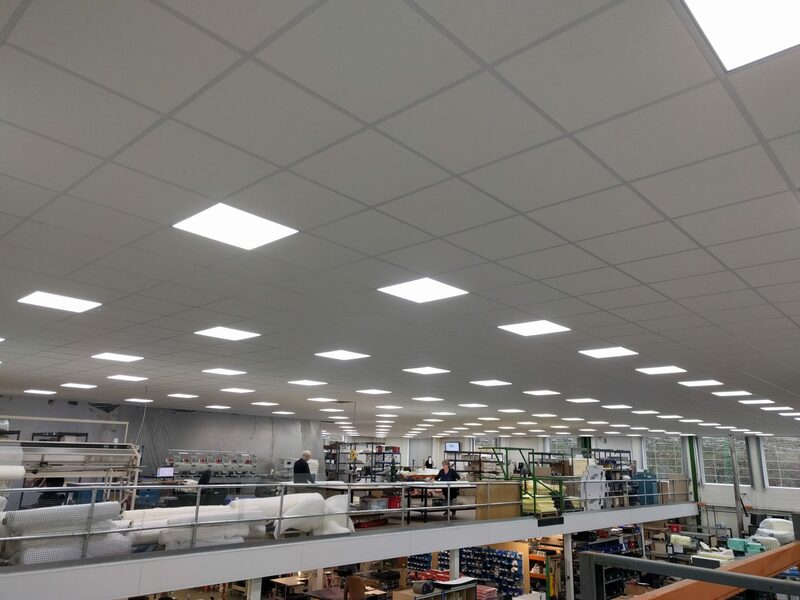 Over the years we’ve installed ceilings by pretty much every major manufacturer; whether an Armstrong ceiling, Rockfon, Ecophon, AMF, Treetex, SAS, Burgess or British Gypsum for example. 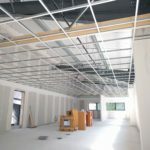 We also work closely with electrical and mechanical companies so can easily accommodate any requirements for these services as well within any suspended ceiling system that we install. 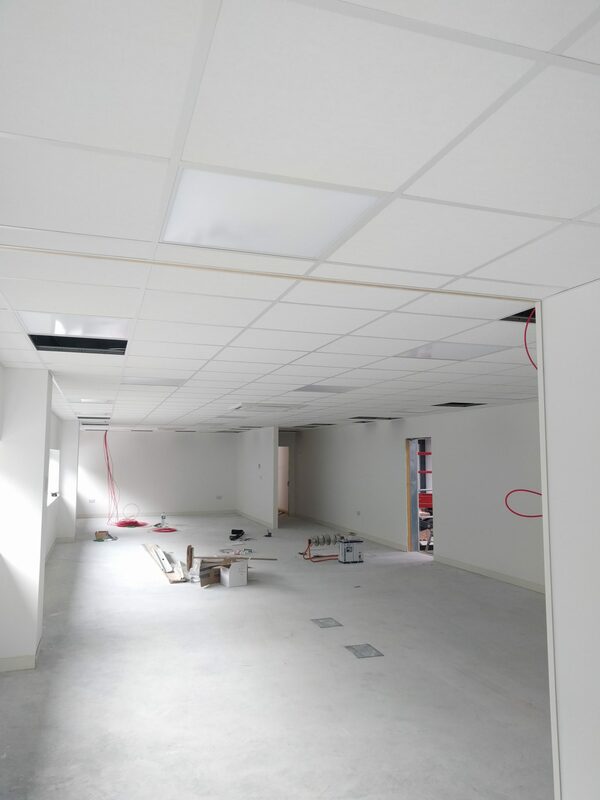 We have carried out suspended ceiling surveys for the Environment Agency and the Local Authority. Inspecting ceilings to ascertain their current condition, and also checking that they were installed correctly. 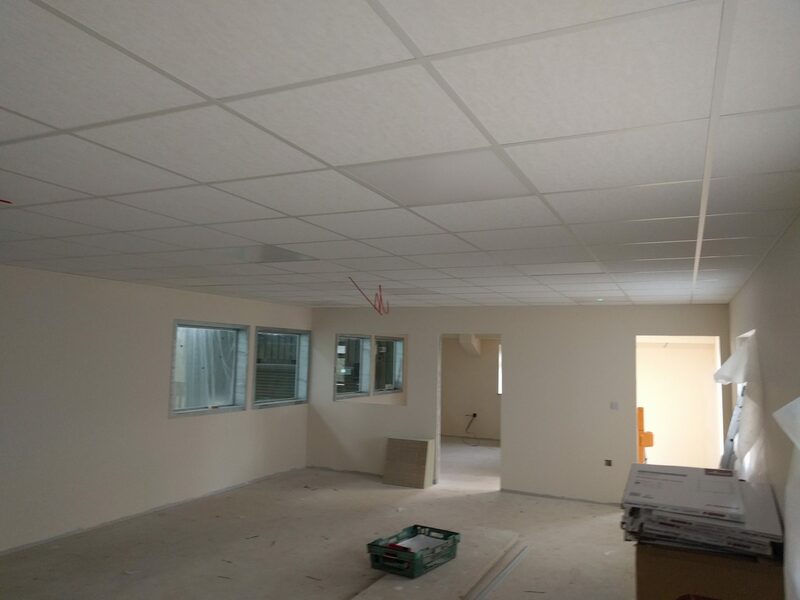 We predominantly install suspended ceilings throughout the West Midlands and Herefordshire’s surrounding areas, for example Hereford, Worcester, Malvern, Ledbury, Leominster, Cheltenham, Gloucester, Tewkesbury, Ross-on-Wye, Monmouth, , Evesham, Cirencester, Stourport and Ludlow. A map showing our approximate travelling distance for a suspended ceiling (or ceilings) can be found here but please contact us if you are near this area and we will happily let you know if we cover and install ceilings in your area. 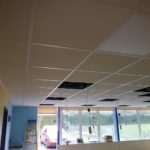 We have been involved in the suspended ceiling trade in the UK for nearly 30 years now and during this time we have installed a huge variety of systems; most commonly lay-in grid and MF, but also metal. 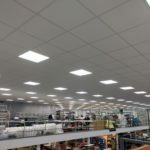 We’ve worked with and installed ceilings from nearly every major manufacturer; Armstrong, Rockfon, Ecophon, Treetex, AMF, SAS, British Gypsum, Burgess, and OWA. 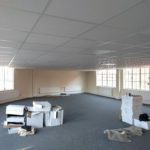 We have worked in a very wide range of locations, for example; acoustic ceilings in schools, to fire rated ceilings in industrial units, via office ceilings in military bases and shop unit ceilings. We have built a strong reputation for high quality work, completed on time, within budget and aim to leave our clients happy and impressed with every contract that we complete. 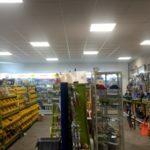 Our operatives are skilled, competent and used to working in a wide range of environments, all are also experienced in how to leave our work neat and tidy. We hold all required insurances and provide Risk Assessments and Method Statements for our work. We are a SafeContractor accredited company.